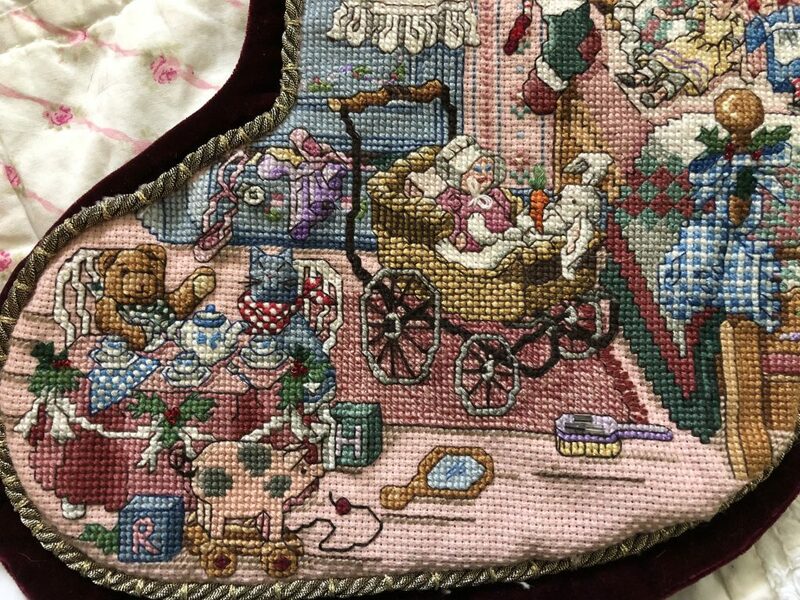 I first fell in love with cross stitching in my twenties and continued to stitch until my 40s when single mommyhood took over my life. 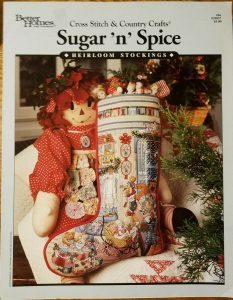 I began cross stitching again in my (very) late 50s and am finishing three other stockings that I began years ago also from BHG’s CC magazine series. Stitcher’s tip: This one was fun fun fun to work on! 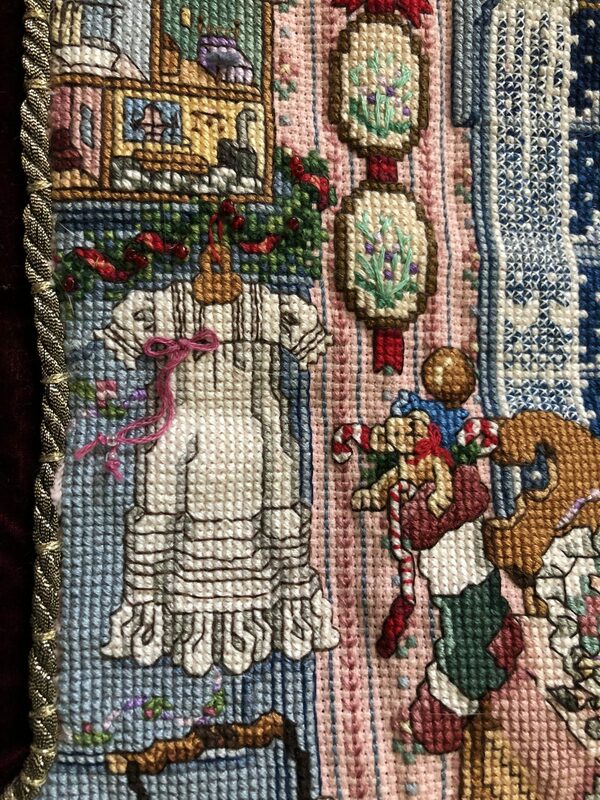 Despite visual complexities, it was not as challenging as some of the others in this stocking series. 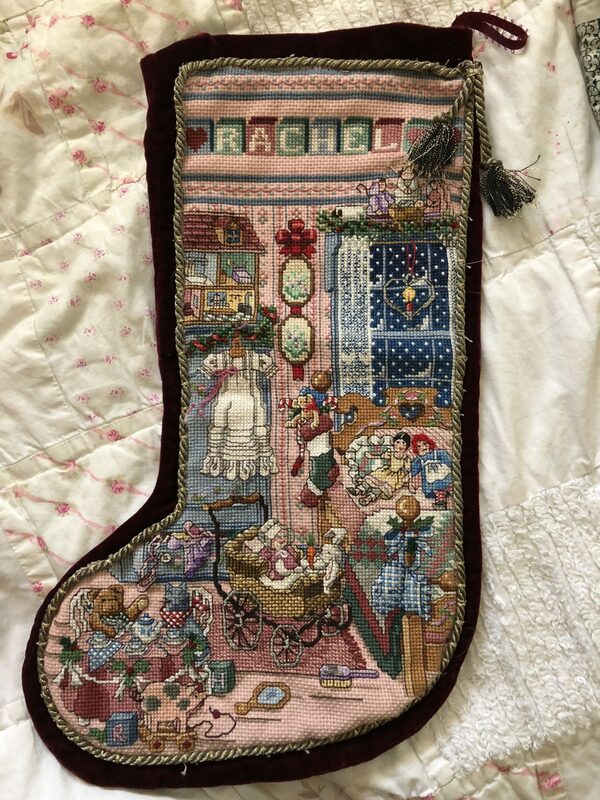 I made “Sugar and Spice” for my daughter, Rachel, and each year we savor the memories of us stitching together over the years each time we pull our her stocking at Christmas. Rachel loved sewing and from a very young age took it up herself. As an adult, she now knits, crochets, and sews beautiful things for gifts, and for her own son.